Comedy is not a word generally associated with one of the worst tyrants the worlds ever seen, but The Death of Stalin manages to do just that. Directed by Scottish filmmaker Armando Iannucci, who is responsible for creating hit political satires such as The Thick of It, and the Emmy award-winning Veep. The Death of Stalin continues this style and dares to take it further by using dark comedy. The story takes place after the sudden death of Joseph Stalin, and follows the power vacuum left behind by his equally parasitic cronies. The Soviet Union was a serious place, full of political scheming, and daily kidnappings and assassinations but the film manages to turn what we would think is insanity and poke fun at it. This is all made possible by the cast with Steve Buscemi, Jeffrey Tambor, Jason Isaacs, and Monty Python legend Michael Palin delivering some of the films funniest moments. Other standouts include Rupert Friend as Vasily Stalin, who portrays the spoiled son of a tyrant perfectly. But if a story full of villains had to have a main villain then Simon Russel Beale delivers a comically cold performance as Levrenti Beria. Scenes are full of quick wit and sarcasm, with absurd situations that get increasingly ridiculous. 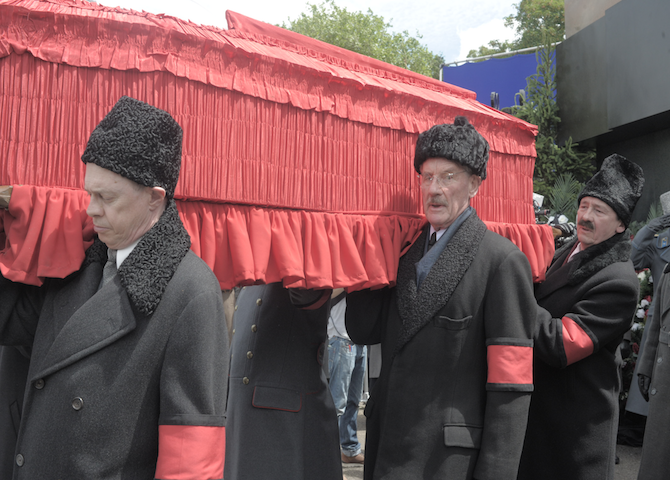 In particular a scene involving Stalin’s council carrying his dead body through the halls of the Kremlin. The banter between the characters while trying to navigate the packed halls is an example of classic British comedy. To uphold the spirit of the films silliness, all the actors use their native accents to portray their Soviet counterparts. Buscemi gives Nikita Khrushchev a New York accent, and Jason Issacs portrays a Soviet Field Marshal with a thick barmy accent. This makes every scene more like a political comedy sketch rather than an historically accurate satire. 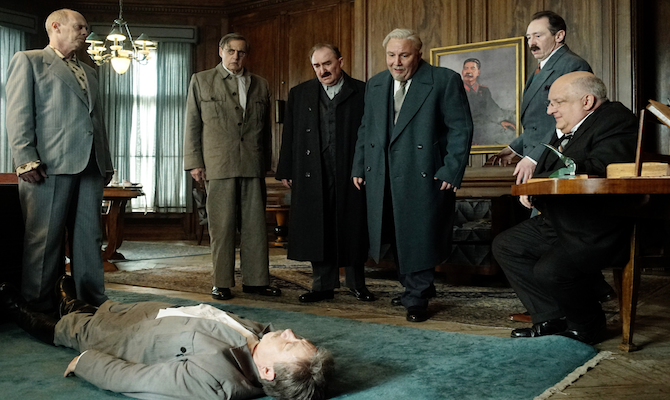 The Death of Stalin is the perfect example of comedy’s power to cure, and show that even the heaviest subjects can be poked at.